Each WRTC2014 station will be provided with a power monitor. The purpose of the power monitor is to provide a visual indication that the station is not using more than 100 watts power output from either transmitter. 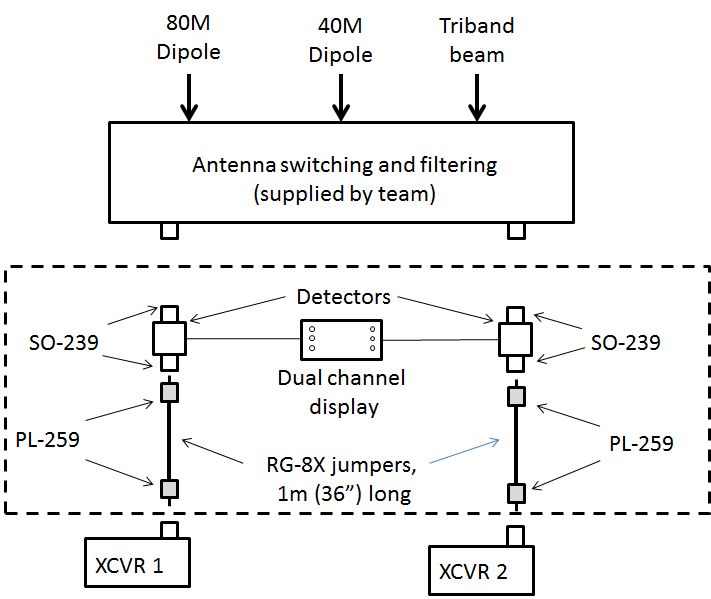 The WRTC2014 Organizing Committee will provide the two PL-259 jumper cables and RF detectors shown inside of the dashed lines in the diagram below. The power meter must be connected directly to the coax coming from the radio. All switching and filtering must be placed after the power detector.